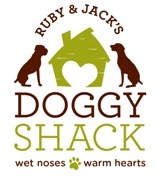 NEW YORK (September 26, 2013) – Join us for the Grand Opening Launch Party of Ruby & Jack’s Doggy Shack on Thursday, October 10th, 2013 to benefit Animal Haven. Ruby and Jack’s is a home away from home for our beloved pets located in the Upper East Side. What: The grand opening launch party of Ruby & Jack’s will be a fun-filled ‘paw-ty’ with plenty of entertainment and special treats to enjoy! A fun and creative Halloween pet fashion show featuring Royal Animals apparel and costumes, including the lion, witch, lobster and banana! Plus, meet the Creator & Owner, Susan Traub. Pet parents can sip on wine, Kamoni Ice rum, and beer, while tray passed treats for both people and pets will be provided throughout the night. Meet the team from Ruby & Jacks, plus adoptable dogs from Animal Haven! Book signing with Paul Nathan, Couture Dogs of New York. Get your pet’s “paw” read by pet psychic Lady Shira. DooD NYC and Honest Kitchen will be on hand answering nutrition questions and handing out food samples to our canine friends. Enter the raffle to benefit Animal Haven for a chance to win one of FIVE amazing prizes. Every attendee will receive a complimentary Yelp Doggy Bandana and Goodie Bag complete with amazing prizes such as: Lickety Sticks, ear & eye wipes from Earth Bath, special offers from Pet Projekt, CritterZone, Sturdi Products and more! Professional photographer, Steve Barkaski as “Pupparazzi” for the party. Dogs welcome, owners must be leashed! 4th Prize: Royal Animals Pet Costume of your choice! 5th Prize: One 8lb 3oz jug of SafePaw ice melter to get you ready for winter, and a Halloween collar and Canine Calm from Earth Heart. How Much: This event is FREE and open to the public! Dress to impress! Costumes encouraged but not required. Animal Haven is a nonprofit organization that finds homes for abandoned cats and dogs throughout the Tri-State area, and provides behavior intervention when needed to improve chances of adoption. Founded in 1967, we operate an adoption center in Manhattan. We also provide programs that enhance the bond between animals and people. Animal Haven is a 501 (c) 3 organization. Learn more at http://www.animalhavenshelter.org. Here at Ruby & Jack’s Doggy Shack—a place for pets filled with wet noses and warm hearts—we are dedicated to providing first-rate care for dogs and cats on Manhattan’s Upper East Side. We bring our many years of pet care experience and our passion for pets to each specially-created service we offer, from the design of our facilities to the training of our staff. Ruby & Jack’s is a home away from home for your pet, a special place for New York’s dogs and cats to play and stay. After all, we are not only pet caregivers but also pet parents, so we understand the demands placed on pet parents in New York. With services that include doggy play care and slumber care, dog walking, dog training, cat boarding, grooming, transportation, and more, Ruby & Jack’s makes pet care easy, providing the services you need when you need them. With our help you and your pets can truly have it all!